The Sensex fell below the 35,000-level to touch a low of 34,811.60 due to heavy selling pressure in view of foreign capital outflows and weak global cues. 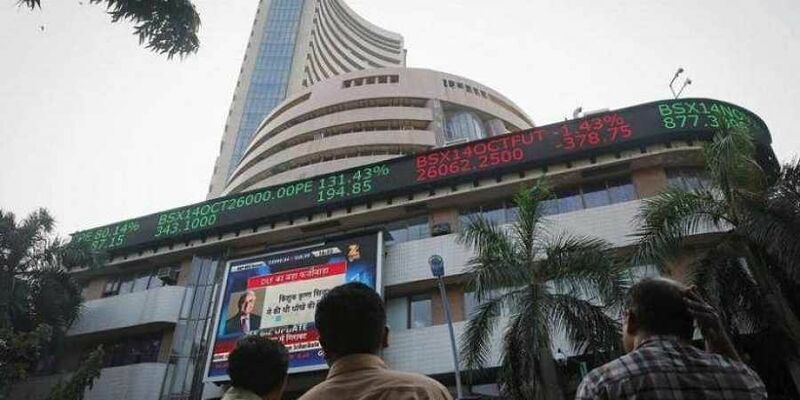 MUMBAI: The benchmark BSE Sensex dropped 61 points and settled below the 35,000 mark Monday, tracking weak Asian stocks amid uncertainty around the China-US trade war, fall in rupee and unabated foreign fund outflows. However, fag-end buying helped trimming losses and the index closed at 34,950.92 with a fall of 60.73 points, or 0.17 per cent. The gauge had rallied almost 580 points on Friday. The broader NSE Nifty, after slipping below the 10,500-mark to hit a low of 10,477, finally concluded 29 points, or 0.27 per cent, down at 10,524. The rupee depreciated 67 paise, to 73.12 (intra-day) against the dollar too had a negative influence. Market was volatile in a narrow range due to weak global cues and selling pressure in pharma, FMCG and auto, analysts said. "Rupee weakened on account of crunch in domestic liquidity while gradual decline in yield may ease the concern. Investors were bit conservative in the holiday shortened week due to uncertainty regarding US china trade deal and Fed policy," they added. Meanwhile, foreign institutional investors (FIIs) sold shares worth a net of Rs 196.90 crore, while domestic institutional investors (DIIs) bought shares to the tune of Rs 852.99 crore.